This early scent bottle was made by Michael Hunter for Twists Glass in 2008 and is known as Stepping Stones. 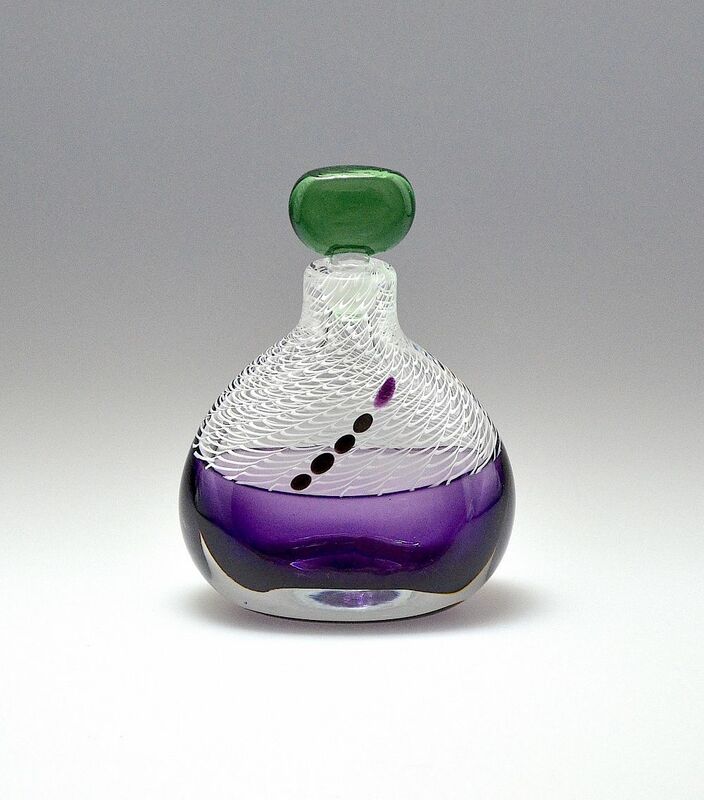 The scent bottle is made using the incalmo technique with a purple base with a white latticino cane top layer inlaid with 5 glass "stepping stones", 4 black and one purple. It has a flat green glass stopper. The base is scratch signed "M Hunter Twists 08 Stepping Stones" and has the Twists Glass studio label.